In 1989 Blythe House started helping people in the High Peak affected by cancer or life-limiting illnesses. We’ve come a long way since then, but our mission remains the same. Blythe House Hospicecare, Chapel-en-le-Frith, offers free, individualised, holistic care and support for anyone in the High Peak living with cancer or other serious, life-limiting illness. Discovering what’s important, being offered practical help and advice and exploring new ways of coping enables people to live their lives to the full through an often difficult and stressful time. Clients are warmly welcomed and a range of group or individual services is available for them, their carers, family and friends. Support groups such as Prostate Cancer, Breast Friends and Carers Support Group meet on a regular basis. Our highly-skilled team of specialist doctors, nurses, complementary therapists, counsellors and volunteers offers a range of services and supports in a positive and tranquil environment. At Blythe House, specialist interventions can include information provision, symptom control, pain relief, counselling, complementary therapy, mindfulness training and much more. A chat and a laugh with others in a similar situation can also be highly beneficial, or a creative arts session may reveal previously hidden talents! 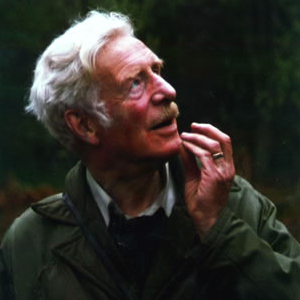 ‘Stan Blythe, a local secondary school teacher, keen birdwatcher and the longest serving president of Buxton Field Club, had retired early due to encroaching blindness. He lived alone in Fairfield and was on my list of visiting parishioners. ‘I changed parishes and sometime later received a request to visit Stan in hospital where he had just been told that he had cancer. He wanted to tell me that he was determined to die at home. My visits resumed and it was painful to watch this tall, erect and gentle man gradually getting weaker and less able to cope. As it became obvious that he was unable to care for himself, I invited him to come and live with us. ‘Fiercely and stubbornly independent, he refused until the time came when he could admit his frailty and so for the last four months of his life he had a bedroom overlooking the garden, listening to and identifying the birds. He had the regular care of a supportive medical team and was waited on hand and foot by his many friends who came to prepare his meals and be with him during the day. ‘On the morning that he died a voice on his beloved radio sang “….the birds are singing and I don’t know how to say goodbye.” So Stan had a peaceful death enveloped in the loving care of his many, many friends. Treating each person with kindness, empathy, compassion and respect. Continually learning and developing; striving for excellence in everything we do. Blythe House will deliver the highest standards of care within all of its services to ensure that patients and carers are supported fully throughout their time with us. Blythe House will seek to ensure that all of its care settings and the services it provides are high quality and safe and thus allow the organisation to provide high quality care. Blythe House will ensure that its workforce is well qualified and managed in order to deliver high quality performance which delivers the objectives enshrined in its strategic plan. Blythe House will continue to move towards being a sustainable organisation by diversifying its income generation across a wide range of income sources including income from statutory sources, grant making trusts, retail operations and general fundraising. 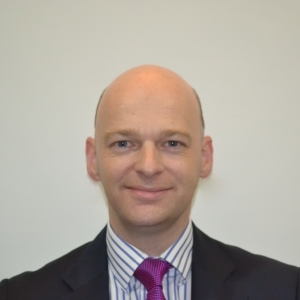 Tim began his career as an Accountant with a city practice, qualifying as a Chartered Certified Accountant in 2002. He worked for a number of firms as an auditor and advisor to the SME/OMB sector (services for small to medium sized enterprises and owner managed businesses) before returning to the Manchester office of a now top 10 firm where he specialised in corporate tax and corporate finance. He started his own practice, based in the High Peak, in 2006. 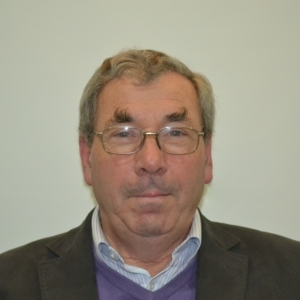 Tim has served on many committees over the years and takes a keen interest in supporting the local community. He is currently Chairman of Whaley Bridge Carnival Committee. 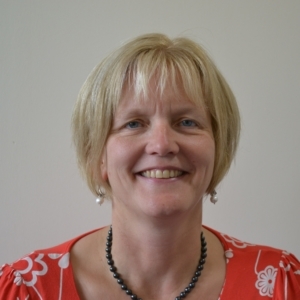 Lesley worked for Edinburgh University as a university administrator and then worked for Cambridge University Press as a Personnel Officer. While in Cambridge she did a day release course and qualified with GradIPM (member of the Institute of Personnel Manager - now called the Chartered Institute of Personnel and Development). 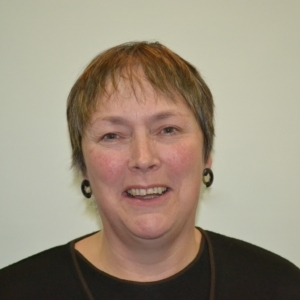 She moved to Buxton in 1991 and went back to Staffordshire University where she did the CPE course followed by the LPC. She was offered a training contract by Cooper Sons Hartley & Williams which she began in 1994. Lesley is now a partner with the same firm. Delia was educated at Sheffield High School before heading to the London School of Economics in 1981 and then joining Peat Marwick Mitchell, which later became KPMG, and qualified as a Chartered Accountant. She stayed with KPMG for nearly 20 years moving with the firm to Manchester in 1995 when her husband’s job moved him to Stockport. With three children now, Delia had finally had enough of corporate life in 2005 and moved to Whaley Bridge where she joined a local firm of accountants. 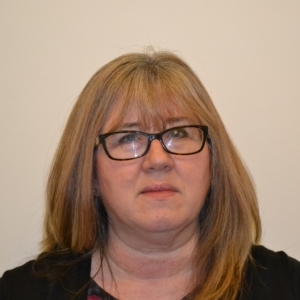 Delia became the youngest ever Trustee of HFT, a leading charity providing residential care for adults with learning disabilities, sitting on the Management Board and chairing the Audit Committee. Her next involvement was with the Princess Royal Trust for Carers in Manchester where she was Treasurer, and Chairman for a period after the death of the incumbent, at a time of swingeing cuts in the funding of charities. Delia’s involvement with Blythe House came about because of the Hospice at Home Service. 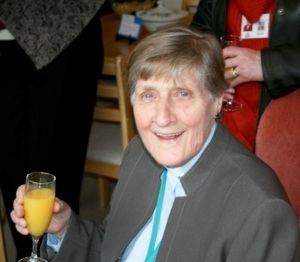 Having seen the problems of end of life care in the area on the death of her father, she was keen to get involved with the project and became a Trustee of Blythe House in 2015. James has had a broad career working with a variety of organisations ending up in the food industry with United Biscuits for 28 years as the local director in Manchester. He has been a Commissioner of the Equal Opportunities Commission, a Non-Executive Director in the Health Service with Central Manchester Trust, Stockport Healthcare Trust and a founder director of Stockport PCT. He was deputy Chair of Stockport and High Peak TEC and was involved with the Princes Trust in Yorkshire. He was also Chair of Stockport CVS until its closure. He was a Council Member of Manchester University and was involved with the merger of the University with UMIST. He is Chair of Stockport Canal Boat for Disabled People and was Chair of St Mary’s Disley ‘Restoring our Heritage Appeal’. For his work with the Canal Boat and St Mary’s, he was awarded the MBE in 2015. He lives in Whaley Bridge. Simon was a GP in Chapel-en-le-Frith for 30 years until 2015. He has been the vicar of Edale since 2011. 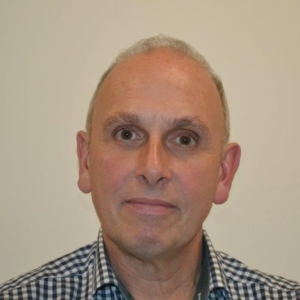 Alongside this, Simon trained and worked as a counsellor for some years before becoming involved in medical education in 1992, as a clinical academic. Until 2012 he led the Clinical Communication Education programme at Manchester Medical School where he is now a visiting Senior Lecturer. 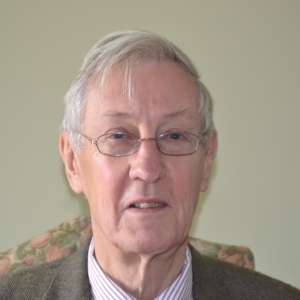 Simon has always been interested in the work of the hospice movement and, having been involved in some of the very first meetings at Reverend Betty Packham’s house, succeeded Betty as Chairman of the Board of Trustees. He has been delighted to both observe and contribute to the development of Blythe House over many years, most recently as a chaplain/spiritual care volunteer. John went to The London School of Economics to study Monetary Economics after which he joined Deloittes and qualified as a Chartered Accountant. After a few years as an Accountant in Industry, as a Financial Director, he started his own Accountancy Practice which John ran for some 25 years advising small and medium sized enterprises (SMEs). During that time he also acted as Financial Director for an International Telecommunications business. In recent years he has acted as an adviser to, and non-executive Director for, a Venture Capital Organisation as well as acting as an adviser to SMEs. He is also currently a Non-exec Director of Mastercall Healthcare in Stockport. Dr Mike Hardman obtained his BMedSci and MBChB from Sheffield University. He trained in General Medicine (MRCP) and Clinical Pharmacology in Sheffield, Munich and Oxford, conducted basic research at the MRC Unit and University Department of Clinical Pharmacology at the Radcliffe Infirmary, Oxford and was awarded his MD from the University of Sheffield. After 10 years of clinical practice and research he joined ICI Pharmaceuticals. 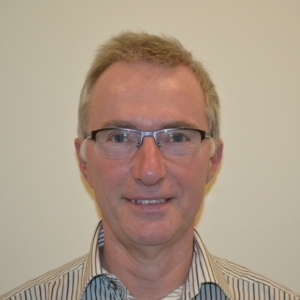 For 28 years, he worked in all stages of medicine development across several therapeutic areas in the UK, USA, Germany and Japan and has had a major interest in education and training. His last position, before retiring, was VP IMI Collaborations AstraZeneca IMED and Coordinator of the IMI EMTRAIN project. He is a Fellow of the UK Faculty of Pharmaceutical Medicine, a member of the Faculty Education and International Committees and a member of the EU Commission expert panel. He is also a member of the editorial board of the Journal of Medicines Development Sciences, a lecturer at the EUDIPHARM Masters course in Lyon, and an external examiner for the pharmaceutical medicine course at Basel University. 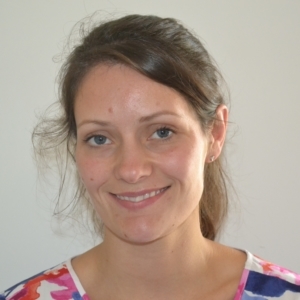 Dr Natalie Fielding started at the University of Sheffield studying cell biology but quickly decided that she would be far happier with and far better suited to a career in medicine. Whilst at Sheffield Medical School, she spent time with the TA and commissioned as an officer from The Royal Military Academy Sandhurst. Although she enjoyed the challenge of the TA, she knew that her passion lay with community based medicine. After foundation medical training in Sheffield, she started her GP training in Manchester and quickly settled on the beautiful Peak District as her base. Alongside GP training, she has juggled the challenges of raising 2 young children and helping out with her husband’s two very busy hotels/ pubs/ restaurants. She enjoys feeling part of her community and getting to know her patients and their families. She worked locally at Thornbrook Surgery in Chapel-en-le-Frith and enjoyed this so much that she has now started as a Partner at the surgery. Bryan was born in Cape Town in July 1941 and moved to Port Elizabeth aged 8. After schooling in the Eastern Cape Province, he returned to Cape Town to read Mechanical Engineering at The University of Cape Town. After graduating, he moved to England to join Simon Engineering in Stockport to gain industrial experience. He remained with the Company and its successors (eventually Japanese owned) for the rest of his career; as technical director in his latter years. His career, in which he became a Fellow of the Institution of Mechanical Engineers, involved extended periods overseas, particularly in Holland, Egypt, North America and the Far East. Since retirement Bryan has remained a trustee of the UK company pension fund and was, for several years, a trustee of the Armstrong Siddeley Heritage Trust. Sean is delighted to join Blythe House, particularly having appreciated the support given to many of his patients over 30 years of General Medical Practice in the High Peak. 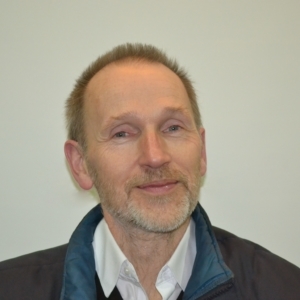 He was based almost entirely at Elmwood Medical Centre in Buxton but has also worked as a locum across High Peak over the last 2 years while gradually retiring from clinical practice. 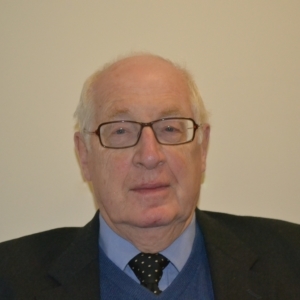 During his time as a GP, he served on various management and representative bodies including: Chairman of Derby and Derbyshire Local Medical Committee, Chairman of High Peak Shadow CCG, and board member of High Peak and Dales PCG and PCT. After giving up his licence to practice as a Doctor, until recently Sean continued to work part time in the NHS as a Non-Executive Director of Sherwood Forest Hospitals Foundation Trust. A proud resident of the High Peak for many years, Lizzy now lives in New Mills and has been an academic and law lecturer for over ten years. Currently the Undergraduate Programme Director for Salford Law, and lecturing across a wide range of legal areas, specialising in the areas of international labour and tort law. Throughout her academic career, which has included lecturing at The University of Manchester, Manchester Metropolitan University and summer programme lecturing at The University of Cambridge, Lizzy remains dedicated to the personal and professional development of all of her students. Alongside her academic career she has also worked in industry for such companies as Stratstone Ferrari and CIPD, and brings with her a wider ranging skill set and strong portfolio of experience in education, management and marketing. Sarah undertook voluntary work for Trafford social services, and it was here she had her first real exposure to someone who was nearing end of life and their abysmal quality of life. Shocked by lack of services, Sarah visited St Ann’s Hospice in Heald Green. She was captivated and thrilled when offered a post as a nursing auxiliary. Sarah worked that summer and all her University holidays for the first two years of her medical degree at Sheffield. Later she worked at the Christie and St Ann’s Hospice, North Manchester before deciding to train in Oncology at Sheffield. After two years she realised that her heart lay in Palliative Care so switched registrar posts acquiring her CCST in 2000. 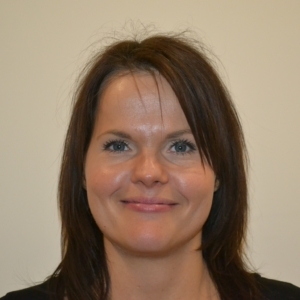 Sarah was appointed Consultant in Chesterfield finally taking up the post in June 2002. Sarah runs a weekly Palliative care clinic from Blythe House and also a monthly Lymphoedema clinic. She is on the Clinical Committee. She is passionate about supporting patients to stay in their homes and working closely with nursing and medical colleagues to make this a possibility. We are pleased to present our Annual Review 2017/2018. 1. Are hospices where people go to die? This is a common misconception and one we battle every day. Blythe House Hospice is here to help anyone living with cancer or other life-limiting illnesses, and we support people at any stage of their illness – from diagnosis to death or recovery. We are also there to support the friends and family of anyone affected by another’s illness. 2. Is Blythe House just for people with cancer? We are here to help anyone affected by cancer or life-limiting illness and we support people who are bereaved. Visit our services pages to see the range of work we do. 3. Are the services provided by Blythe House free of charge? The services we provide at Blythe House are free to the public, with the exception of education and training courses. However our services aren’t free to provide, which is why we are always so grateful for all of our wonderful supporters and every donation we receive. 4. Do I have to be referred into Blythe House services by my GP? If you or someone you know may benefit from any of the services Blythe House offers, we are here to help. It doesn’t matter whether a GP, friend or relative makes the referral, or whether you just call us to make an appointment to talk to someone, we’re here for you. Simple as that. 5. What is Blythe House like? Is it depressing? Just walk through our doors and you will see this myth dissolve. You will receive a warm welcome and may be surprised at the incredible atmosphere and feeling of well-being. Blythe House is filled with beautiful art, warmth, friends, smiles and laughter. 6. How can Blythe House help me? There are so many ways that staff and volunteers at Blythe House, and other hospices, go above and beyond to help, and so many services available. These range from clinical services including palliative care support, Hospice at Home, to counselling, meditation, help with financial issues, advice, creative art, our headstart service, our nourishing lunches, to just having someone to talk to. There are so many ways that Blythe House can help you. Call us to find out more. 7. Does Blythe House have beds? No; Blythe House is a Day Hospice. From April 2016 we will also run a Hospice at Home service. Many people don’t realise that 90% of hospice care in the UK is provided through day and hospice at home services.